With half-moon shape of sloped, white-powdery beach considered the most beautiful on the island, Patong was the first beach in Phuket that was developed to serve local and international tourists. 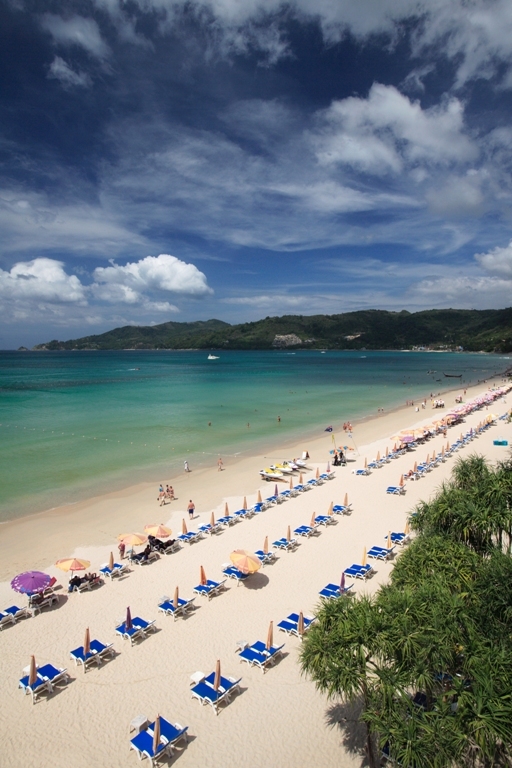 The three-kilometer beach is now Phuket’s tourist central with the most choices of accommodations, restaurants, spas, tourist-related services and shopping venues. The vibe here is dynamic so it lures in more of younger tourists who love to experience the fun and challenging water sports such as jet ski, wind surf and parasail. At the center of Patong finds Bang La, a nightlife central with selections of bars and clubs for every preferences.